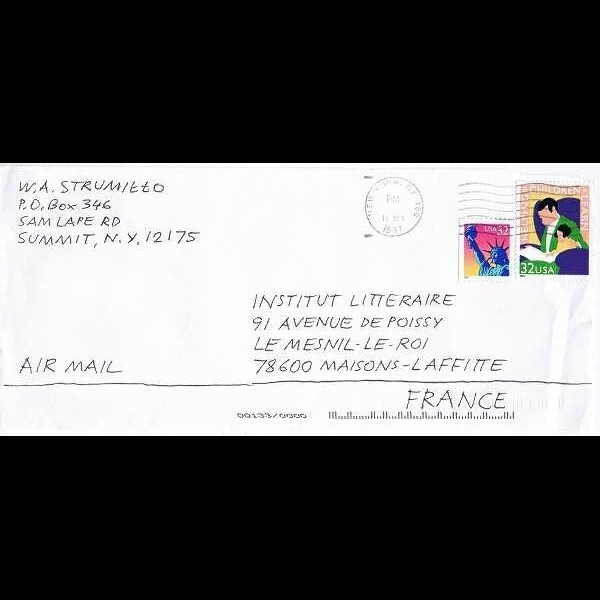 Envelope clipping from New York to the Literary Institute in France. 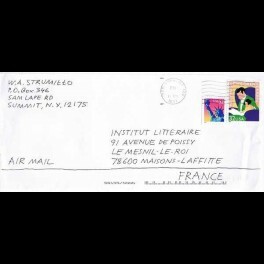 Cancelled, air mail, two different stamps. 1997. If you are interested in, please send a proposal to us by an e-mail.